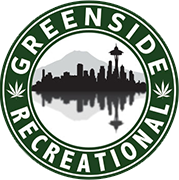 At Greenside’s pot shops in Seattle and Des Moines, we serve up the best legal weed in Washington State. So we know cannabis. Another thing that we know? A determined cannabis consumer will find a way to smoke. And on that note, we present to you the watermelon bong — it’s truly majestic. Now, we know that industrious folks can make a smoking device out of just about anything. For the truly desperate, there’s always been a can, but at that point, you’re seriously smoking out of a piece of garbage. And seriously? That’s not cool — it’s much better to opt for the classic apple pipe. Almost a decade ago, Charlize Theron proved that the longstanding impromptu pipe is sometimes necessary, even if you’re a scorching hot, super-rich actress. We seriously wished we looked as cool as she did in these photos. When we’ve had to resort to using produce for pot, there’s been one vegetable that’s always been our go to, however, and it’s the humble carrot. One big thing it has going for it? It’s already basically shaped like a pipe, and if you have an apple corer on hand, you can make a serviceable smoking device in a couple of minutes. Full disclosure: After we carved particularly good ones, we’d keep them in the fridge. If you’re determined, you can actually get a couple of days out of a carrot pipe. Try that with an apple. But we digress. Because we’re here to discuss the majesty — yes, majesty! — of the watermelon bong. Because this is a creation that’s made not out of desperation, but celebration. And given that you have to hollow out the center, you’ll already have a ton of healthy munchies ready to rock for when after your flower has done its thing. Of course, if you’re wondering what to put in your watermelon bong, look no further than Greenside’s online menu. We’ve got plenty of flower and concentrates, and also, a great selection of edibles and pre-rolls. Watch this video about how to make a watermelon bong, then come in and see us in either our Des Moines or Seattle pot shops!